Rivers Metal Products has been defining the industry standard in rotational molds since 1973. We pioneered the developed of fabricated stainless steel molds, and have been a leader in the design, development and innovation of this form of mold building ever since. After more than 40 years, Rivers Metal has become a cornerstone in the rotational mold industry. Our experts have made rotational molds of every size and shape, from under a gallon to over 22,000 gallons. If you need a rotational mold, talk to us and see why we set the standard. We've made thousands of unique molds, establishing RMP as the premier fabricator of rotational molds. We'll use our experience to make a mold that fits your needs. At Rivers Metal, we are the experts in stainless steel mold production, but our employees are also experienced in producing high-quality molds from carbon steel and aluminum. When you come to RMP for a rotational mold, we will develop a first-rate product every time. We are capable of making molds of any shape, all with top-rate service. If a fabricated mold is accidentally damaged, it can be repaired and restored to like-new condition. Fabricated molds can also be modified as the design evolves. This allows you to enhance your mold and improve product performance throughout its life cycle. 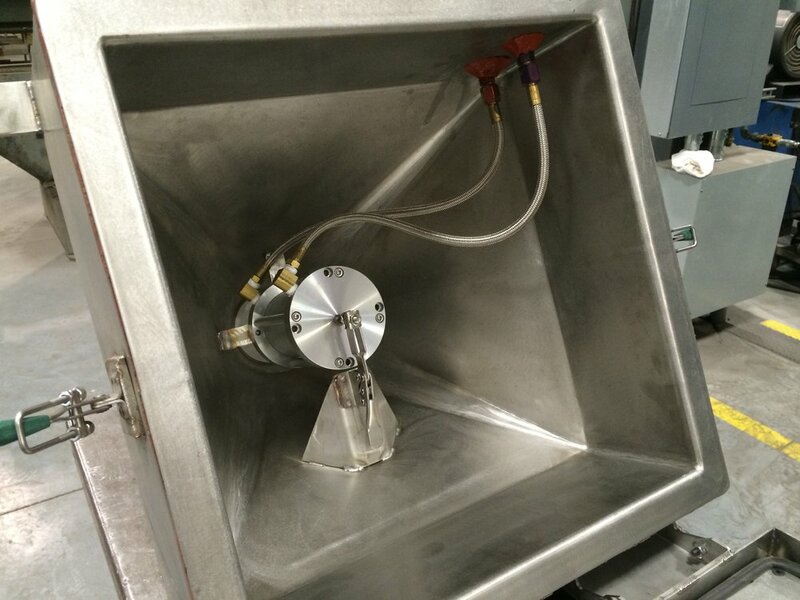 BHB / Replacement Bolt 3.5" 4.0" 4.5" 5.0"
Rivers Metal Products offers pneumatically operated drop boxes to facilitate the adding of foam to rotational molds during the oven cycle. 1 ½ cubic feet, holding up to 50 lb. ¾ cubic feet, holding up to 25 lb. ½ cubic feet, holding up to 17 lb. ¼ cubic feet, holding up to 6 lb. Rivers Metal Products can also build custom sizes or Teflon coat your drop box to meet your specific needs. To place an order, or for questions on pricing and customized options, please contact us at 402-467-9865 or molds@riversmetal.com.